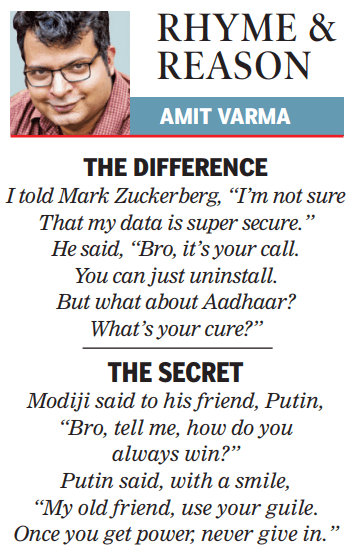 This is the 74th installment of Rhyme and Reason, my weekly set of limericks for the Sunday Times of India edit page. He said, “Bro, it’s your call. “My old friend, use your guile.